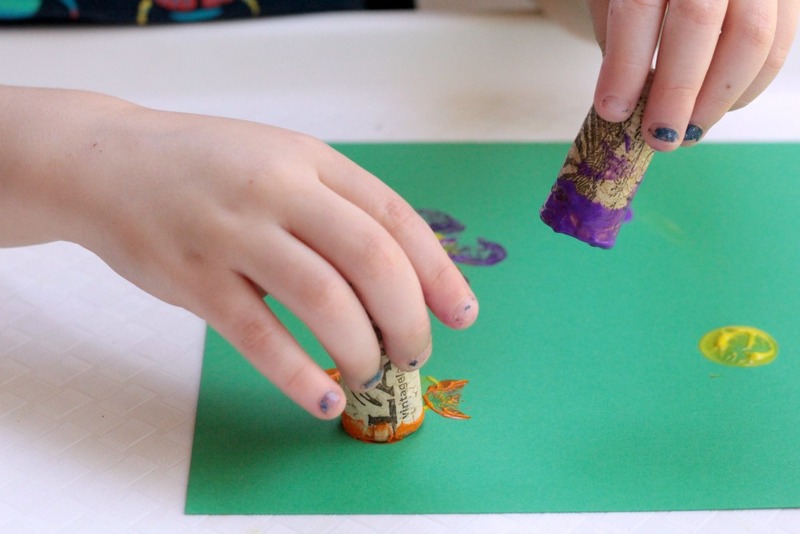 While flowers are pretty any time of year, most kids complete flower crafts in the spring. 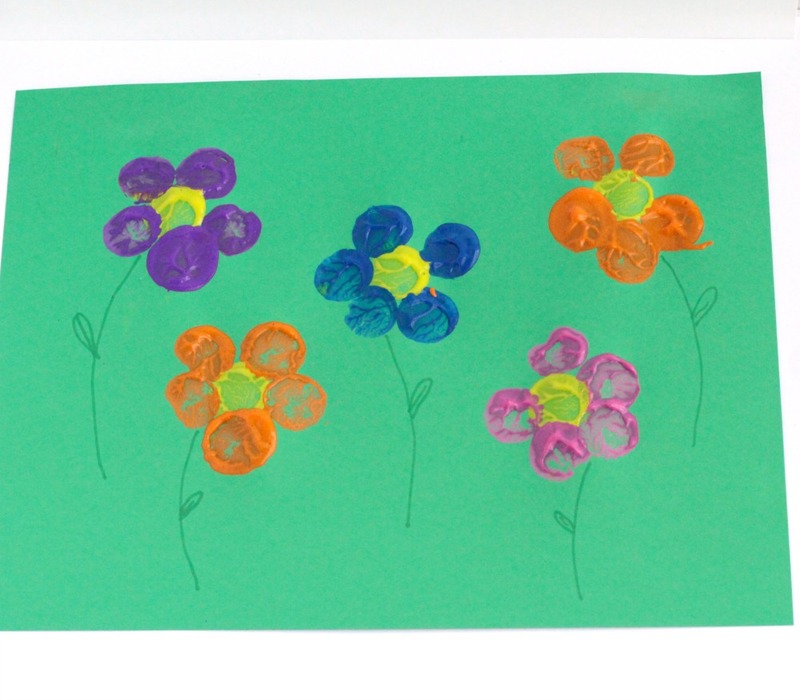 This craft is a fun activity for spring, a flower theme, or as a “F is for flower” letter of the week activity. 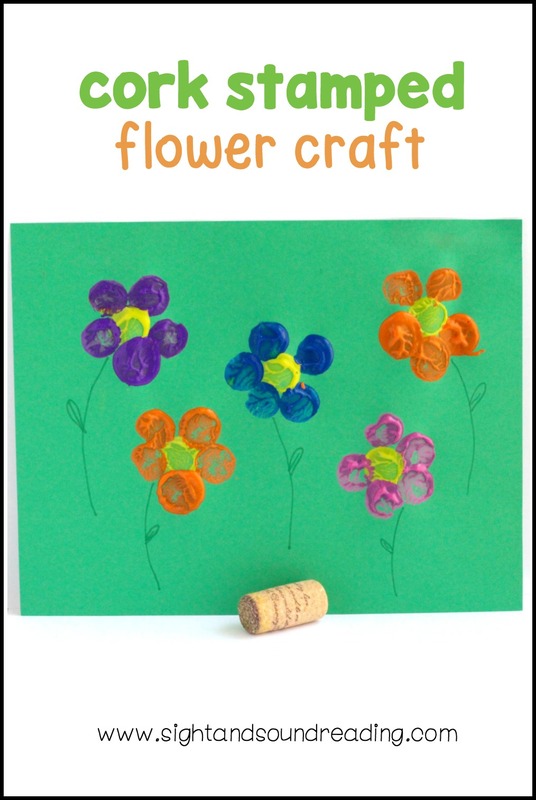 This fun cork stamped flower craft would also make a perfect craft to give to Mom! The kids also use fine motor skills when stamping the flowers with the paint, which makes this activity both educational and fun! Talk about what colors the kids are using and instruct them on what colors or patterns to use for their flowers for even more educational value. This craft is super-easy, but kids love it. My preschooler was absolutely delighted with this craft and didn’t want to stop making flowers! I found that putting a bit of paint into the paint cap was the easiest way to prevent paint from getting everywhere. 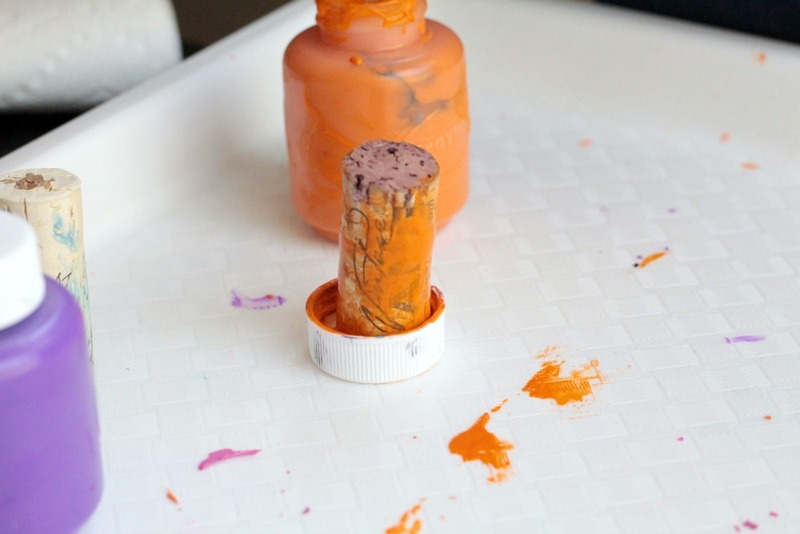 Otherwise, you have to dip the whole cork into the paint bottle, which can get really messy fast. In either case, keep plenty of paper towels or baby wipes on hand during this project to prevent disaster. 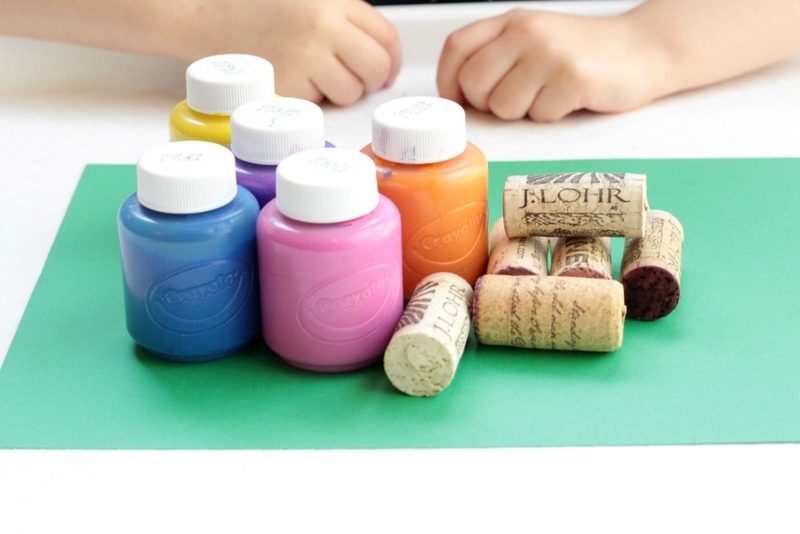 The end of the cork is dipped into the paint, then dipped onto the paper to stamp the color onto the paper. If you make the yellow centers of the flower first, it is easier for the kids to make the flower shape. Show the kids how to stamp five petals around each flower center. When the paint dries, add stems and leaves to each flower to complete the painting! This adorable flower craft is definitely fridge-worthy! Parents will love showcasing this project at home. Love this project. Thanks so much.